Although most of the plains tribes eventually adopted the halo style, full eagle feather headdress that most people identify with the “typical” American Indian, research indicates that Lakota Sioux were among the first to create and wear this iconic symbol. They were worn by only the bravest warriors of the tribe. Each feather represented a deed of valor. Braves who wore them among the Sioux Nation were members of the elite Akichita Society. 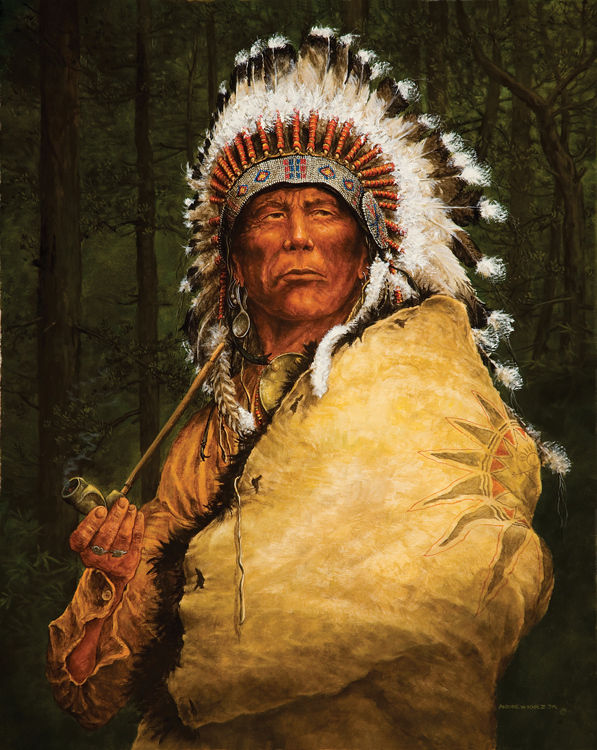 The War Bonnet was considered to be strong protective “medicine” for its owner in battle. If a warrior displayed cowardice in battle, his headdress could be taken away and he would be expelled from the Society.